​"Our greatest natural resource is the minds of our children." Is A Happy Childhood a nonprofit? A Happy Childhood is a 501c3 nonprofit organization. Are the children accompanied by adults? Dr. Kelly DeGarmo, a foster parent of over 14 years, and another chaperon accompany the children. There is a 3 children to 1 adult ratio. What are the ages of the children that are a part of A Happy Childhood? Children and youth between the ages of 5 and 18 are a a part of A Happy Childhood. How are the children from foster care selected? Dr. Kelly DeGarmo works with the many child welfare agencies, both state funded and private, as well as with case workers and foster parents throughout the state of Georgia in selecting the children to be a part of this joy filled and healing experience. Why children in foster care? Children in foster care have often lived a life of great pain and tremendous suffering. More often than not, these children in care never truly recover from the emotional, physical, and psychological wounds that they suffer from. Furthermore, they are haunted daily by the various traumas they suffered before coming into care; never truly escaping from the horrors they have experienced, and never finding peace. A Happy Childhood gives the child an opportunity to heal through laughter and play, to find hope for a future, and to build positive memories that will last a life time. A Happy Childhood not only allows children from foster care to heal through Play Therapy, but also learn and grow through a variety of opportunities. Led by nutritionist Dr. Kelly DeGarmo, children with A Happy Childhood will examine the importance of good nutrition and healthy diets. Career opportunities will be examined, including hospitality, business, management, landscaping, nutrition, education, entertainment, and much more. Children with A Happy Childhood will also learn money management skills, as well. Is the state of Georgia and the Department of Family and Children Services a partner? 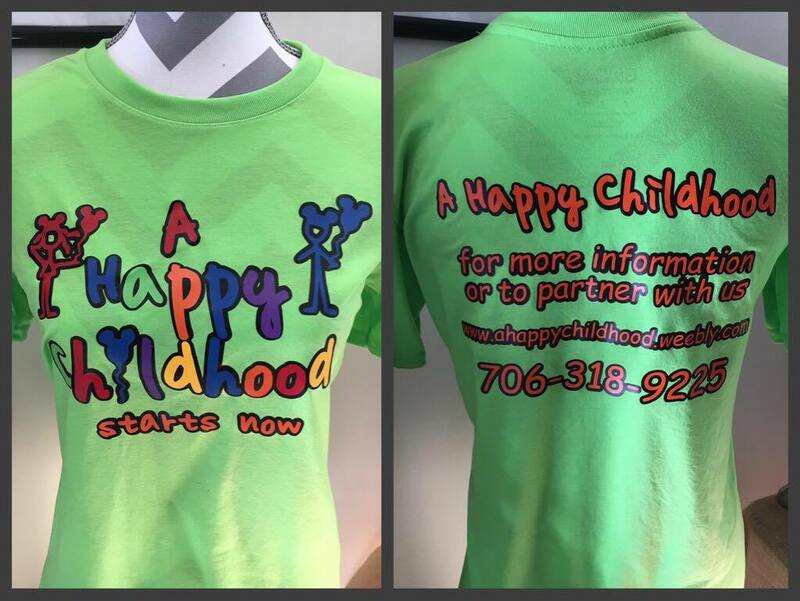 The Department of Family and Children Services (DFCS) in Georgia is excited to be partnering with A Happy Childhood. Is Walt Disney World a partner? Walt Disney World is excited to be a part of A Happy Childhood, and is partnering with Dr. Kelly DeGarmo. Discovered by Dr. John and Kelly DeGarmo, "Disney Therapy" is a form of play therapy. Play Therapy is a therapeutic technique designed to allow the traumatized child to better cope with their emotional stress or trauma through the expression of emotions and or play. This type of therapy allows children who do not have the verbal skills or language to express their thoughts and feelings. What better place than Disney World than to take children from foster care so they can not only express their emotions, but to find ways to play at the same time. There are a number of ways we have found for children to engage in this form of therapy and begin to allow them to feel and express themselves. If you want to see your child come to life or come out of his or her shell, take them to a visit with one of their favorite Disney character.